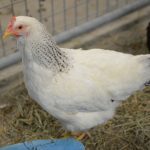 So you think you want to hatch baby chicks in your classroom? Please, think again. It’s your project until it becomes our problem. Incubating chicks is often more challenging than humans expect. 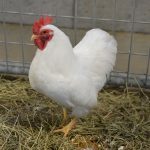 Chicks that are not incubated properly die or are born deformed. The surviving chicks don’t fare well after they are dismissed from the classroom. 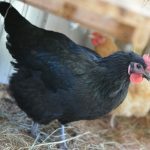 As a poorly-thought, insulting alternative, the incubation kits’ materials instruct teachers and parents to give the abandoned chicks to a local animal shelter for “disposal” as the proper procedure; they believe it is the animal shelter’s job to accept and either care for or kill the baby birds. Most shelters are either under-funded divisions of city health departments or volunteer-driven, non-profit organizations; both types of shelters are already inundated with homeless dogs, cats, puppies and kittens. Many shelters will accept the orphaned chicks rather than allow them to suffer, but – with no resources to raise the chicks – will euthanize them. Thus, the classroom’s disposable “life” project becomes the animal lovers’ responsibility and heartbreak. Teach your students to become humane adults. Please end the irresponsible practice of hatching and abandoning chicks and ducklings in your classroom and urge other teachers and students to do the same. 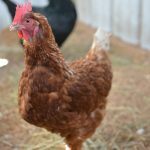 Lessons in creating a humane biology classroom are available via the United Poultry Concern » or by calling (757) 678-7875.